The best way to approach a visit to Las Vegas is to expect to enjoy the sights, sounds, and excitement — and expect to lose. The house has the odds in its favor, and so most visitors will lose. However, there are a few who have won big and walked away from the slot machine or poker table with millions. Winning big is rare enough to earn the individual who does it a place in the spotlight — at least temporarily — with television coverage and newspaper stories recounting the feat. The biggest Vegas winners in history also have earned legendary status and a place on the scoreboard that is theirs until a bigger winner comes along. 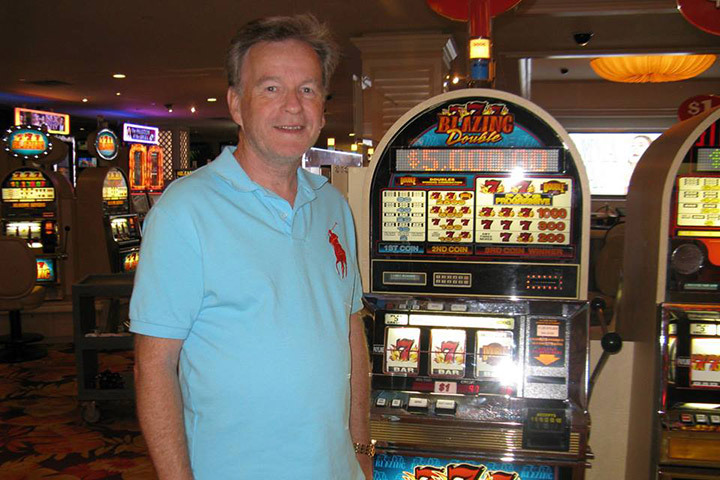 Currently, the biggest Vegas winner of all time is a software engineer visiting from Los Angeles, who went back home with more than £23.38 million he won in a slot at the Excalibur hotel and casino in 2003. The actual total in winnings for the 25-year-old gambler was £23,384,757.90. 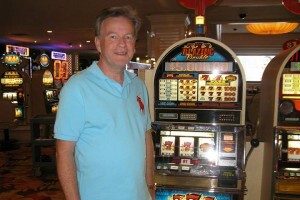 He won this by beating the 16.7 million-to-one odds at the time in betting $100, or £58.89, in the Megabucks machine. The Megabucks slot machine, which is part of the progressive slot system in the state of Nevada, has seen a number of big winners recently. 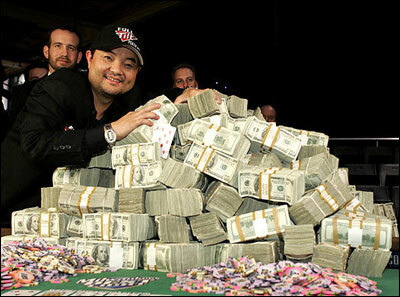 Late in 2013, two players took home jackpots of £7.34 million and £5.9 million each. In October 2013, a woman won just over $1 million, or £588,876, on her birthday. Bad things happen, though, to those who win big in Vegas. At least, that is the urban legend that arose after one of the biggest winners, Cynthia Jay-Brennan, a 37-year-old cocktail waitress, was rear ended in 2000 by a drunk driver just six weeks after winning about £20.55 million at a Desert Inn Megabucks slot machine. Her sister was killed in the crash and she was paralyzed. 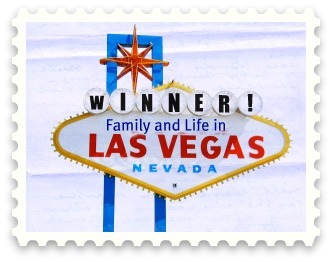 In 1998, a retired flight attendant living in Vegas managed to win big twice. Her first win netted her a mere £400,436 in a Wheel of Fortune slot at the Palace Station. She moved on to invest $300 in a Megabucks slot at the same casino and came away with £16.19 million. Her win marked the first time that the Megabucks slot machines had hit a jackpot of more than $20 million, or £11.777 million. Continuing the Megabucks mega-payout trend, a 74-year-old California woman, Johanna Heundl, in 2002 managed to win more money before breakfast than most people will ever see in their entire lives. On her way to the buffet at Bally’s, she decided to try her luck at a Megabucks machine and dropped in about £100, coming away with £13.3 million. Breakfast could wait. In 1999, the Megabucks machine at Caesar’s Palace paid out more than £12.33 million to a 49-year-old business consultant from Illinois. His investment strategy consisted of investing a mere £5.9 pounds in the slot, which nevertheless earned him a hefty return of nearly 5,000,000 percent. Elmer Sherwin, a 92-year-old resident of Vegas, achieved his lifelong dream of winning big twice, winning his second millionaire jackpot in 2005 by getting £12.4 million from a Megabucks slot at the Cannery Casino. In 1989, he started his winning ways by getting £2.7 million at the Mirage casino, meaning he won a total £12.44 million. More recently, in 2011, a woman who was going to her room at the Aria paused a moment to insert £3.5 in a Megabucks machine. When she finally reached her room, she had nearly £7.5 million more to pay her hotel bill. At first she had thought the machine had broken down and malfunctioned, but she was informed by a family member that she, indeed, was a mega-winner.